Owner-financed real estate contracts are not always strictly enforced. Some buyers seek owner financing to allow them to purchase a home without seeking bank financing. This arrangement, known as a land contract or contract for deed, carries significant risks for the buyer. These risks have been greatly diminished, however, by legal reforms at both the state and federal level. Because buyers in land contract transactions typically have little or no access to commercial credit, the seller often enjoys an advantage in bargaining power. Early on, it was common for a land contract to include default provisions that allowed the seller to re-take possession of the property, even on the last payment, without reimbursing the buyer for any of his equity. The seller was also allowed to evict the buyer without foreclosure proceedings. Courts in many states have become sympathetic to the plight of the buyer, and will often require foreclosure and award equity to the buyer on the reasoning that the buyer is the "equitable owner" of the property even though the seller retains legal title. In addition, many state legislatures began passing laws giving buyers default protection beyond the contract terms. Michigan, for example, requires the seller to provide the buyer with written notice of default and a 15-day grace period to correct the default. After a court hearing, the buyer is then given an additional 90 to 180 days to correct the default before being evicted. The SAFE Act is federal legislation enacted in 2010, parts of which impose restrictions on owner financing. You are free to finance the sale of your personal residence without complying with the SAFE Act. The SAFE act kicks in, however, when you sell residential real estate that you own primarily for investment purposes. 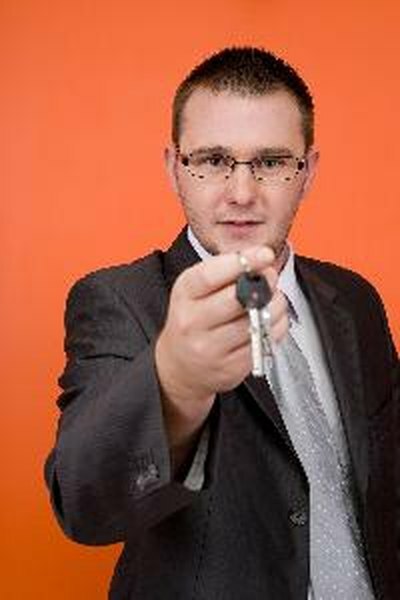 It requires you to obtain a mortgage loan originator license before you finance the sale of your property. To obtain a license you must submit to an FBI background check, pass a 20-hour course, and list your name in a nationwide database. SAFE licensing requirements do not apply to the sale of commercial real estate or to the sale of residential property to your immediate relative. The Dodd-Frank Act, enacted in 2011, imposes additional restrictions on owner financing. You may not finance the purchase of a home unless you have made a "reasonable or good faith determination" that the buyer is capable of repaying the loan. This restriction is designed to prevent predatory lending policies by unscrupulous sellers who want the buyer to default. Among other restrictions, the act also limits the ability of parties to an owner-financing arrangement to agree to "balloon payments" -- disproportionately large final installments that make it easy for buyers to default.